If you ask a teacher “What would make your workday better?” you’ll get a list of thoughtful responses. Chances are, one of them would be “A more efficient and organized classroom.” A paperless classroom is just that. Every student in the K-12 education system is a digital native. Why shouldn’t their learning experiences at school follow suit? While some may still see the digitization of school as a hurdle and a challenge to overcome, more schools are enthusiastically adopting the “paperless classroom,” using technologies that not only save trees, but also lead to increased efficiency and less clutter. By eliminating the majority of paper, ink and associated clutter (save that for the art projects! ), a cloud-based classroom enables a more career-relevant experience for students and a more connected and cost-efficient environment for schools. There are several reasons to go with a paperless classroom. Lowering costs is a big one. Printing out an endless number of assignments, homework and exams is time consuming and costly. An average American school pays about $25,000 annually on paper. A paperless classroom will reduce, and maybe even eliminate this cost. A paperless classroom is equipped with digital tools – not to replace teachers, but to help them use their time more efficiently. When everything is saved in the cloud, teachers can access material whenever and wherever they are. In a matter of minutes, teachers can create assignments, update handouts, take attendance, amend resources and get an overview of the students’ work. This allows teachers more time to focus on what they do best: educating the next generation of our society. What could be more important than that? The paperless classroom also enables new uses for technology that weren’t possible (or were significantly more difficult) with paper. For example, Microsoft Teams is a digital hub for teamwork that helps teachers collaborate and communicate with their fellow teachers and administrators using chat, online meetings and Office 365 apps. When someone shares a file to Teams, it can be automatically shared with their colleagues, making it ideal for all kinds of communication – from sending short text messages to coordinating on department-wide and school-wide planning. Another technology that moves education beyond what could ever be done with paper alone is Microsoft OneNote. This digital notebook technology allows teachers and students to compile content in a range of formats – documents, images, links, video and audio files – then organize, tag and share items with their colleagues. Each student can have their own personal workspace that is accessible by both student and teacher, and groups can share a OneNote notebook to collaborate on projects. This makes it easier for teachers to provide feedback on works in progress and enables the use of formative assessments. Teachers can use OneNote to create content libraries that are accessible to all students. And OneNote can also serve as a digital whiteboard in the classroom, allowing teachers to share documents, audio and video files or images and annotate them in real-time with typing or hand writing as they present information to the class. Read more about how OneNote and Teams help simplify a teacher’s life. In a paperless, digital classroom, students are better prepared for the future. Digital tools like Microsoft Office will be part of their future lives in the working world. Students today cannot imagine their lives without technology, so why not guide them in the direction where technology can be used in ways that will help them succeed, both now and in the future? 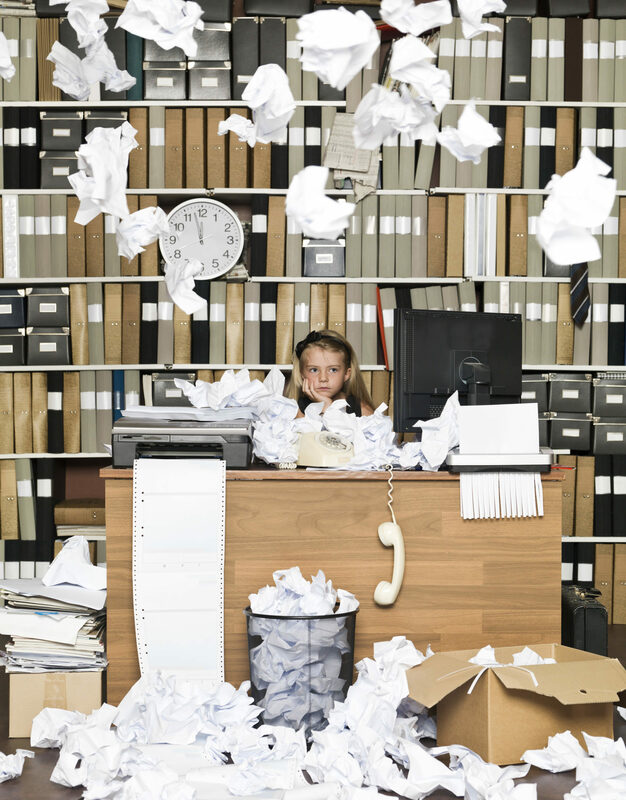 A paperless classroom is an ambition that is not always easy to meet. We acknowledge the power of paper, the important role it has played historically in schools and the unique, tactile elements of it as a material for creativity and offline work. It will always have its place in education. At the same time, we see tremendous benefits and opportunities that come from moving toward a (mostly) paperless classroom. At Skooler, we work to provide teachers with the best tools for working digitally, without sacrificing any pedagogic workflows. We want to empower teachers to adopt technology in schools to improve student learning and make their teaching wishes come true…with less paperwork and more time to teach!